Make sure you are not the obstacle preventing our team from succeeding. People don’t come to work planning to do poorly that day. I bet if you ask them, they are doing the best they can but they can’t get past the obstacles. We are in the customer service industry so ask yourself if the work your team is doing is benefitting the customer. Company Vision – the vision describes the company’s reason for being in business. Company Purpose – why are you here, what do you do for your customers? Company Values – these are the fundamental beliefs of the organization. Goals – short and long term. These should be the company as well as personal goals. Customer Service – The interaction with customers that happens 100s of times a day at your business. A warm greeting, eye contact, a helpful attitude, problem resolution, an invitation to return. Customer service is critical to everyone’s success. Make sure you spend plenty of time focused in this area. Task specific training – The nuts and bolts of the operation. Mowing operations. Setting a room for a dinner or meeting. Cleaning rooms. Tournament set up and operations. Proper food preparation and presentation. The employee’s supervisor should handle this task as he/she is closest to the work being performed. The best way to ensure consistency in operations is to have written SOPs for each job function. Use the SOPs along with a checklist to make sure associates are all trained to the same standard. It is easier to build a high performance hospitality team when everyone is rowing in the same direction. Remove obstacles – Employees can’t perform if too many obstacles are in the way. They need training on the specific task to build the requisite skills to perform the task well. Remember people learn in different ways. Usually, a combination of written and hands on training will give a good base. After you train them, evaluate the performance and retrain to get the desired results. Does the machinery work properly? Are the right tools available? Is the banquet room set up to allow efficient flow of servers and guests? Manage backward – Give them the goal, not the pathway. Great managers manage backward, most do it forward. People need to have a goal, so start there. We have the goal, we have trained them on processes, we have removed obstacles now let them determine the path that allows them to reach the goal. This involves a certain level of trust on both sides and does not mean abdication of responsibility by the manager. The manager is still around to help guide the process but shouldn’t get bogged down by it. People aren’t perfect so mistakes will be made. Take these moments as a chance to be a coach. This shouldn’t be a one sided conversation. The coach should reinforce the training and goal and ask questions that allow the teams the opportunity to realize what went off track and how to avoid it next time. In order for your operation to be successful, teams must be formed and functioning. Once these groups start you can agree upon the goals and let them carry it to completion. Each organization will have multiple teams and multiple goals going at the same time. An organization with high performance hospitality teams (food and beverage, agronomy, banquets, pool, golf ops) allows your club or course to be successful and provides a challenging dynamic workplace for individuals.  Up to Par Management understands hospitality and its integral part in the club and golf business. We are so passionate about this, we created a whole new company that focuses just on that, Taylor Hospitality > taylorhospitality.com. As you can see we dive deep into the operations of a club to find out all the answers why a club is not profitable for its owners, whether it be building high performance hospitality teams or marketing plans. If you would like to discuss a 30-min complimentary consultation for your property please drop us an email at info@uptoparmanagement.com. All Golf Management Companies Are Different. There, we said it.